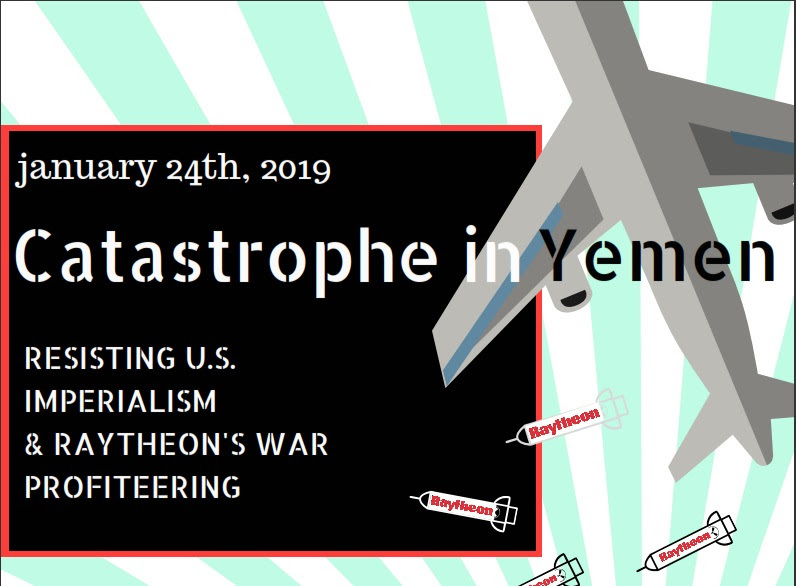 Read more about MIT Lecture: "Worst Humanitarian Crises of Our Time: Displacement and Destruction in Syria and Yemen"
Read more about Whose University Is It? Read more about Protest Raytheon Weapon Sales to Saudi Arabia: war profiteers on campus! Tell the UAE: No War in Yemen! 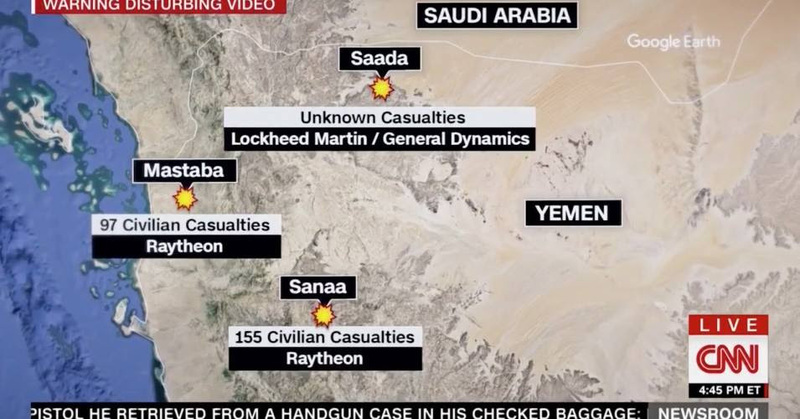 The United Arab Emirates and Saudi Arabia are waging a genocidal war in Yemen with the support, and the arms, of the United States. 14 million people are on the brink of starvation, suffering under a brutal blockade, while US-made bombs are dropped on schools, hospitals, weddings, and school buses. Read more about Tell the UAE: No War in Yemen!